Winter Holidays in Romania - Where to go? 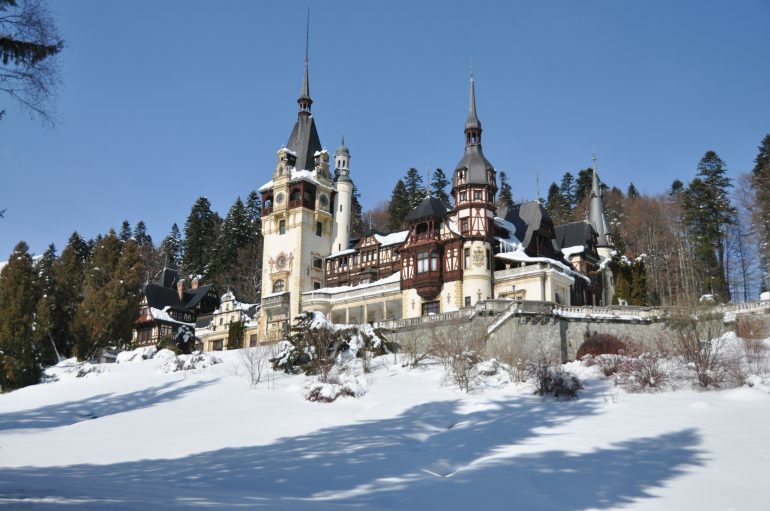 Winter Holidays in Romania – Where to go? Winter gives us many travel opportunities, from sunny destinations with soft sand beaches and warm waters to snowy places with low temperatures, perfect for winter sports, hikes and other seasonal activities. Countries like France, Austria, Italy or Switzerland are the most popular when it comes to winter vacations, but what about Romania? Have you visited it? Do you know that there are some great ski slopes, resorts and special traditions in winter? Find below the best destinations to visit in Romania during the cold season. ● Poiana Brașov is the first destination on our list, being very popular through tourists, mostly because of its modern sport infrastructure which includes artificial skating rink, riding centers and an efficient gondola lift. The ski resort is improved with artificial snow, allowing passionate skiers to enjoy their hobby even if the natural snow doesn’t appear. Placed in a stunning landscape on the foothills of Postăvaru Mountain, the resort of Poiana Brașov offers guests a relaxed and warm atmosphere, together with great snowboarding and skiing opportunities. 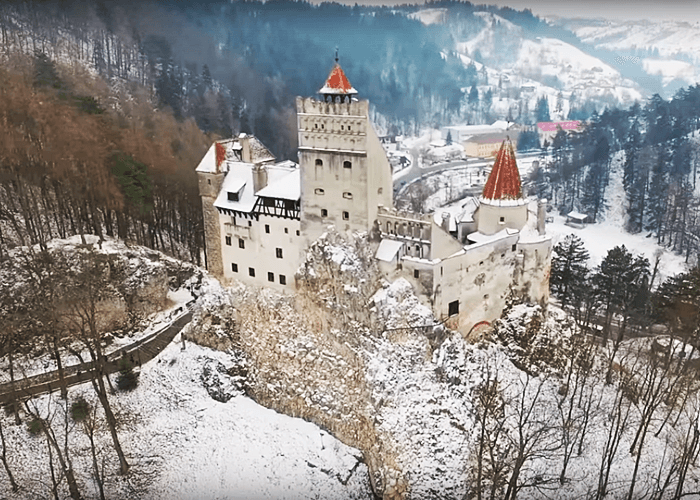 Other interesting activities would be an excursion to Dracula’s Castle, a city tour of Brașov and a lunch at Moeciu, to taste some great traditional dishes. ● Predeal is another great choice for winter vacations in Romania. Firstly, because it is easily reachable, being just 2 hours away from Bucharest, the country’s capital. 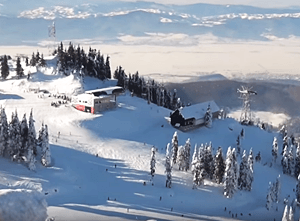 Secondly, because it is a great location, with amazing views, snowboarding and skiing slopes, all located on Prahova Valley, at an altitude of 1110 meters. It is one of the cities with the highest altitude in Romania, allowing to have as well some spectacular landscapes and excellent services. There are many paths for hiking, specially designed for long walks while admiring the beauty of Bucegi Mountains. The main attractions are St. Constantin and Helen Church, 2nd World War Heroes Cemetery and the Legionary Cemetery. Make a day tour and visit them, they have fascinating stories! ● Sinaia is well known for its breathtaking views, attracting visitors from all over the country and all over the Europe. 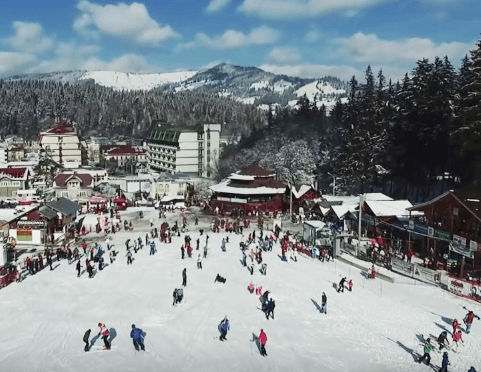 It is considered one of the finest places for winter fun, being the oldest tourist resort in Romania. The ski resorts includes 12 ski slopes provided with 9 lifts, the maximum reachable altitude being of 2100 meters. There are also some beautiful landmark to visit, like the Palace Hotel and the King Carol’s residence from 1870. You can even rent a snowmobile, ask for a ski instructor and at the of the day, drink a tasty mulled wine and relax in a cozy hotel. ● Vatra Dornei is a spa and ski resort located in the northern Romania, also called the Pearl of Bukovina. Surrounded by Giumalău and Călimani Mountains, the city has a good infrastructure, allowing many tourists to visit it and enjoy their favorite activities: skiing on one of the three slopes, horseback riding or visiting the Egg Museum. In January and February the Snow Festivities take place, so this destination is vibrant and dynamic even after the Christmas and New Year’s Eve are passed, providing music concerts, traditional dance performances and other seasonal old customs. ● Valea Lotrului (Lotrului Valley) is a magical place for a winter break, providing some amazing views with natural beauties which are still unspoiled. There are multiple protected forests and parks here, like Călinești Forest and Căldarea Gâlcescu, and stunning waterfalls: Devil’s Mill, The Hanged Water. You can also go to admire the glacier lakes and the spectacular caves from this area. These are just a few recommendations, the most popular let’s say. But there are also other beautiful locations like Bâlea Lake (and the ice hotel), Tihuța Step, Maramureș Area or Câmpulung Moldovenesc. Plan your journey with TripEconomy, book your hotel and visit this beautiful, old traditions keeper country.